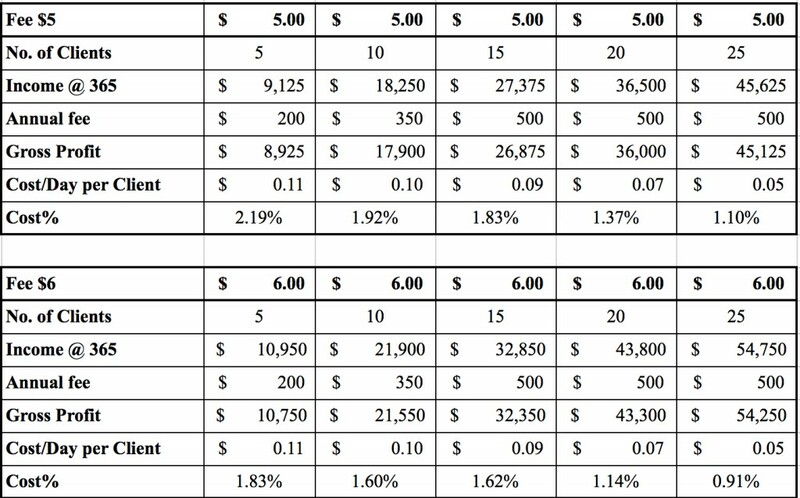 These tables below show how affordable EasyDose is and how much money you can save. There are two tables, the first depicting a $5 fee per dose and the second depicting a fee of $6 per dose. Staff wages saved in time is also quite substantial a representation of which will be shown below in due course.